Subject: Re: RVT.com Lead - Potential Buyer would like to see more Pictures. Please remove our ad. We have sold our unit. Thanks! Our 2008 hurricane motorhome has been sold thanks to you!!!! thank you Don and Deb Taylor. Thank you for your help. We have sold our Keystone Hornet. Please remove our ad. I'm happy to inform you that we have sold both the fifth wheel and the motorhome, both buyers found us through your ads and both were the first one to see them and bought them. please remove the ads from the other websites I have already done so from Craigslist. Our Jamboree has been sold. Please remove our ad from your service. Excepted offer on motorhome and sold on 5/22/2014. Please take down all adds. If I every have anyone that I know wanting to sell a RV I will definitely recommend your service. Please remove the ads for the above camper. The camper has been sold as of today. Please remove our listing. Our travel trailer sold. Thank you! Thanks for your service. You can discontinue this listing. I have done business in the past and I understand business ethics as I did a lot of research before sending payment to proceed. Hi Paul, guess what!?! We sold the rv!!!! Can you cancel our ad?? paul, and stephanie, vehicle has sold. Sold. Please take ad down. Thank you! Please cancel our ad to sell our motor home. Our RV has been sold on Craigslist. Subject: Re: Your RVT.com Ad Expires in One Day! It was viewed 132 times. Upgrade Today - NEVER renew Again! This RV has been sold - is this where we need to give that information? Thanks for your help!!!!! Please cancel this listing as it has been sold. RV was sold. You don’t have to do anything else. Thanks. We sold the 5th. wheel so you can take down my ads, thanks. Hello, Please continue the add. Subject: RE: Sell your RV, guaranteed! You can remove the listing since the unit has been sold. Just wanted to let you know that we have sold our RV. Thanks for your help with this. This is to let you know that the 6X6 Motorhome has now been sold so there is no need to extend the listing. Paul, we sold our motorhome, thanks for your help! I sold the RV, Thanks! Please remove all ads. John. After dropping price to $16,000 I received 5 people wanting it. The Jayco sold! It sold for my asking price! Thank you Paul for your help. It was a long haul, but we made it. Thanks Again! The hard work from your group paid off. Thanks for the support over this past year. The RV has been sold. Paul, please cancel all of my ads (I already did Craigslist) as I sold my fifth wheel on Phoenix Craigslist. Thank you for all of your support and help. You can clear all ads. The MH has been sold. Please discontinue as the RV sold! The RV has been sold! The trailer is sold. Thanks for your help. Please cancel my ad, the trailor has been sold! trailer/5th wheel sold, please pull ads. Rv is sold, thank you so much. Just sold! Very happy with your program, great customer service! Please remove all listings for the 2010 Damon Tuscany we have listed with you, very sasisfied! Paul, the camper just sold today. Thanks for all your help. who said it was still shown on your site and I see that it is still listed. I sold the RV, so please take down all the advertising. Please remove all listings for the 2010 Damon Tuscany we have listed with you (Campaign or Invoice #1166195). Please take off for sale add regarding our 2012 Cedar Creek 5th wheel. We have sold the RV. Coach has been sold. Great job! We want to cancel the ad now, our RV is sold. I sold this motor home in August 2012 through The Boat & RV Group please remove this ad. Miscue – the RV was sold, not sure why you got sent a bill of sale, though. Please remove our ad. Thanks for the help. We have just sold our toy hauler. Could u please remove all our ads. Thanks so much for all your help. The above ad number and rv was sold. Please cancel the ad. Please remove our listing from all of your ads at this time. We sold the RV! I sold the 5th wheel this weekend<?xml:namespace prefix = o />, very pleased! Paul, we sold our camper. You can remove your advertisement for this unit. My 2002 Airstream Bambi sold and so you may remove the ads at this point. Thank you for your support and if there is a website I can leave a positive reference for, please let me know and I'd be more than willing to provide a very positive review. You have been great to work with and I would definitely recommend your services to others. Please cancel my adds for my trailer. Boat RV Group #687073. Thank you very much for all the exposure. Hi. Our unit has been sold. You can remove any remaining ads. I am pleased to inform you I have sold my unit, very happy with the service you provide. Please remove my listing. The boat is being sold tomorrow. Thank you for all your help. Its Sold, your ad on eBay Classifieds did the job, thank you! President of Boyd Agency Inc. The RV has sold. I no longer need the ad campaign to run. Thank you for your help with this. Please pull the advertisement from your system. We have sold the RV. The source was an Arizona Craig’s list. Thank you for your help. Best to you, your business and your family. From: Awnings & Signs Unltd. Please remove all ads the coach is sold. Thank you very much, wish I had found you sooner. Paul, I sold the trailer yesterday. Thanks for the help. if we are still listed, please remove as we sold our vehicle. I will recommend your service to my friends. Good morning.My trailer sold over this last weekend through Craigs List Seattle,which you posted for me.Thank You! The trailer has already been delivered to a happy new owner.Thank you for your help,your services will be recommended to friends. Our trailer has been sold. Please remove the adds. Please cancel this ad as the Marathon bus has been sold. I would appreciate a confirmation of this cancellation. Thanks. We have sold our 2001 Safari Trex motorhome, you can stop advertising for us. Wanted to let you know we sold the motor home. The RV has been sold. I wanted to thank you for the advertising! 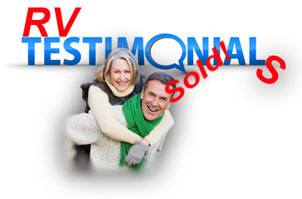 Thanks Paul, The RV sold on August 30, 2012. So I suggest that you pull the ads that you generated. My ad at RVTrader.Com expired. I deleted the Craigs List ads that were in, "My Account". You can remove the ads. We sold this camper today. Please remove the ad from all the websites. Thank You so much for your help! It sold today, so you can cancel all the ads. Thanks for your help. 90% of my traffic – and the purchaser – came from ads you posted!. My Motor Home has been sold, and the money collected! You may cancel my listing. The unit was sold re seeing it from on RV Trader. I have sold my RV. Please delete (not marked sold) all ads. Please delete all my ad's in the different newspapers/print. We sold our Motorhome yesterday. Would you cancel the listings? We sold the motorhome today. Would just like to thank you for your service. As everyone has to be leary about websites and fraud, we decided to try you out and within two weeks that travel trailer was sold and gone. We tried ourselves for a year but never found a solid buyer. Thanks and we would certainly use your service again. SOLD!! Please record this fact and remove my listing from all sites. Your service helped and I am pleased; thank you, Hal Stein. Just letting you know that I have sold the 5th wheel. Thanks for all your help! We sold the RV. Thank you!! Many thanks on the listing. I have sold the RV and was seeing if you could delist the ad. I was very pleased with the service and the success I had in running my add through the boatrvgroup. What an incredible service you provide and far worth the fee. We instantly got many serious calls and emails. We sold the RV On the 2nd day it was listed and too the 2nd viewing party. I am aware that the selling has to do with the economy, its demand and my asking price but I have tried serval times to sell in the last year and asked 3 thousand dollars less...no success. To sum it up, I am very Excited to say "I sold my RV on the second day for the listed price" and listing online could not be easier. With all that said is there a way for you to take off the sale Ad or list the Ad as SOLD so I stop getting all the calls and emails??? Please advise. Just wanted you to know we sold the 2009 Coachmen Pathfinder. Listed it with you on December 16 & sold it on January 9. Thanks for the exposure! Thanks for helping us Paul! We will pass your info on to others who need to sell their RV’S.
. Please remove from all of the sites listed below as it is no longer ‘for sale’. Hi, You've been running an ad for my 2007 Newell but it is no longer available. Please pull the ads for it if you are able. Please remove my Trek ad from all you linked web sites. The unit is sold. We have sold our RV. Thanks for your service. We have sold our camper. Final price was $8600. Please remove the ad from all sites. It looks like the buyer came through your listings. Thanks for all your help. Please discontinue our camper advertisement since our camper has sold. Thank you for all of your help. Get Financed! :: NADA Guide :: Contact Us :: Terms and Conditions :: Need a Broker?